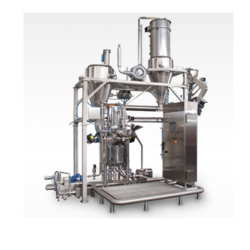 spiral dough mixer delivers superior mixing control! Boasting two programmable timers, this spiral mixer is designed to give you maximum control over dough mixing. It's ideal for donut, bagel, pizza, pie and bread dough and more! Ideal to knead 5 kg (11 lbs) of dough (3 kg of flour - 2 liters of water) within approximately 15 minutes. Operates like a baker's dough mixer. Ideal for all kinds of breads, croissants, pastries, pizzas, meat mixtures.. Offered products are rich in taste and known for their safe consumption. Besides, our products can be prepared easily and available in given time bound. 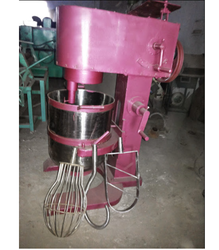 Leveraging over the skills of our qualified team of professionals, we are instrumental in offering wide range of Bakery Mixer.